If you're looking for a step-by-step launch framework for your upcoming Kickstarter or Indiegogo campaign, this is the handbook for you! I'll teach you how to use crowdfunding to raise money online and bring your project to life. We're at the beginning of a movement as transformative as the industrial revolution. Never before in history have authors, musicians, artists, and film producers been able to connect with massive online audiences and get funding for their creative work. Right now, we're in the middle of a historic shift in charitable giving behavior. The rules of nonprofit fundraising are being rewritten as we speak. With the emergence of social media, smartphones, and the web, opportunities for budding nonprofits are finally opening up. What were once tried and true methods to engage donors are quickly becoming archaic and ineffective. Great listen, I highly recommend it! For many startups and growing companies, gaining marketing exposure and raising external funding from investors are first and second on their priority list. But, until recently, they were always separate activities - first you would raise the money, and then you would spend it on marketing. The advent of equity crowdfunding means these two critical tasks can be done at the same time. This is a game-changer. 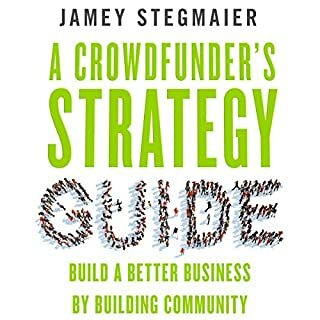 As a veteran of six successful Kickstarter campaigns (and counting) and the proprietor of the Kickstarter Lessons blog, Jamey Stegmaier knows something about crowdfunding. 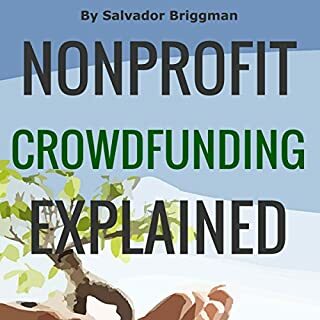 In this audiobook, he goes beyond the nuts and bolts of how it works to a deeper level - crowdfunding not just as a cool way to raise money but as a better way to build and run a business. I've watched the emergence and quick rise of real estate crowdfunding and I have to tell you, I've been dying to write this book. So many of my listeners have reached out with questions about this growing new industry. Whether you are an investors, real estate developer, or entrepreneur, this new sector is a game changer. 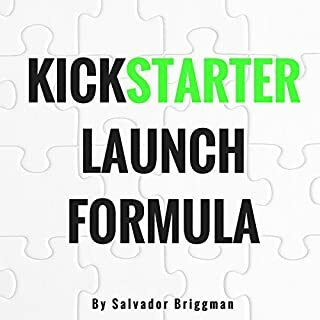 My name's Salvador Briggman and I've been blogging about crowdfunding since 2012. On my main website, CrowdCrux.com, I bring awareness to crowdfunding success stories and demystify this alternative financial tool. I'm lucky enough to have impacted over a million website visitors in the past year and have been cited by the New York Times, Wall Street Journal, and more. 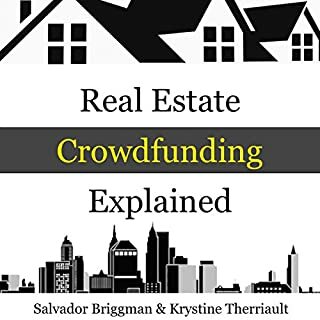 In this audiobook, my co-author Krystine Therriault and I bring tremendous clarity to real estate crowdfunding. We break down everything you need to know to get started raising money for a new property or investing in real estate online. Along with answering many of your questions, our biggest hope is that this comprehensive guide will get you pointed you in the right direction. We want you to succeed in this changing industry. Warning: do not launch your crowdfunding project before listening to this book. 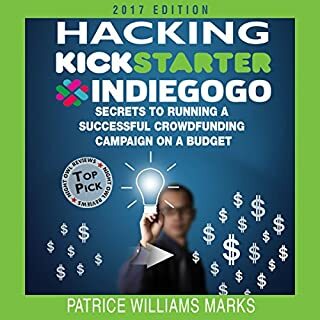 Hacking Kickstarter, Indiegogo (or any other crowdfunding site) walks you step-by-step into the process of creating, launching, and wrapping your crowdfunding project. Tried and true tactics, tips, and secrets that work. Get a copy of this book now and you'll be able to enhance your project's success rate tenfold! Small business and legal expert Cliff Ennico has followed the equity crowdfunding story since its inception. Now, in The Crowdfunding Handbook, he explains the JOBS Act and translates the regulations into a clear set of do's and don'ts for entrepreneurs and small-business owners looking to get in early - and do things right. What is crowdfunding? It is a brilliant way to fund your business idea, raise money and awareness for a cause, and bring your ideas or product to the world. In How to Make the Most of Crowdsourcing by Creating a Crowdfunding Campaign, everything you need to know to launch a successful campaign is explained in detail. Imagine that small and medium businesses - a really significant side of the economy - aren't getting funding. Here is where crowdfunding comes into the scene, as it allows small and medium scale enterprises to reach out for investors. This book will show you what crowdfunding is and how it will lead you to success. You will also learn from the most successful campaigns, and understand how crowdfunding can help you in establishing your business. There's a secret world of investing controlled by angel investors and venture capital. One investment has been the secret of the wealthy for more than 80 years. It accounts for nearly a fifth of the wealth for million-dollar investors and nearly four times the return compared to stocks. Investing in startups has led to an average 27 percent return for wealthy investors, nearly four times the average 7.4 percent annual return on stocks over the decade to 2013. There's no doubt that the world that we live in has been transformed by companies like Facebook, Uber, Tesla, Google, Amazon, and many more. Now, for the first time in history, you can not only be a part of that change, but you can also profit from it. You can become the next stakeholder in a fast-growing startup company that's on the path for an IPO or major acquisition. 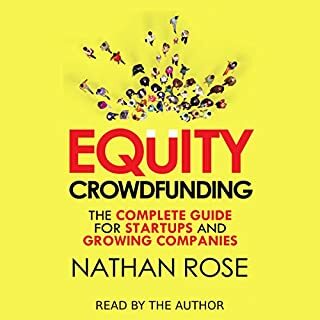 This audiobook is your passport into the new world of equity crowdfunding, where startups are raising money Online from investors all over the world. The Startup Checklist is the entrepreneur's essential companion. While most entrepreneurship books focus on strategy, this invaluable guide provides the concrete steps that will get your new business off to a strong start. You'll learn the ins and outs of startup execution, management, legal issues, and practical processes throughout the launch and growth phases and how to avoid the critical missteps that threaten the foundation of your business. Ever wonder how some people raise money crowdfunding and fundraising time and again while 60 percent of campaigns fail? Even Hollywood fame hasn't been able to save some crowdfunding campaigns from epic fails. It's because with all the media attention around crowdfunding, no one covers the actual process of how to run a successful campaign! In this step-by-step guide, you will find the actual process you need from idea conception through pre-launch and fulfillment to make your fundraising or crowdfunding campaign a success. I skip all the history of crowdfunding and why it is a great tool for your business to go straight to the point; how to put your campaign on the path to beating its funding goal. This book is the master of the obvious! This book spent too much time on how to start a business in remedial terms. Seriously could not handle listening to this book. The reader could not complete a single sentence properly during the entire book. He jumbles over basic words about every 3 secs, which made listening to this thing absolutely unbearable. And believe me, I’m pretty lax with readers but I was appalled to hear this got approved by Amazon. Really...basic basic English. Just finish a single sentence without hesitating to accomplish the pronunciation of the word “the” and “s-s-systole. I mean system”. K I’m done. The information in this book was great, & I am hopeful it will help me hit my goals, but the narration was not professionally done which made it hard to listen to sometimes. Too bad. 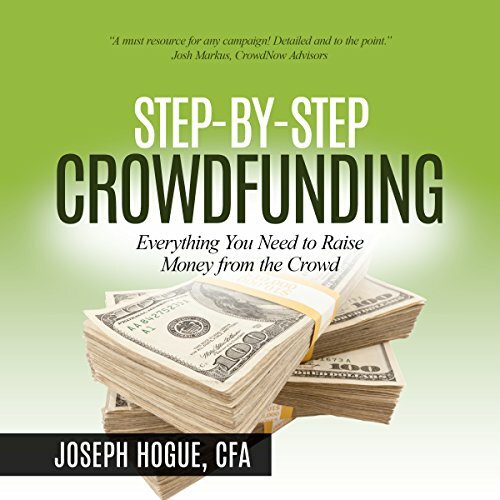 If you're looking for information as a beginner in the area of crowdfunding you will find a considerable amount of useful information in this audiobook. My greatest complaint with it is the poor quality of the recording itself. More specifically the author while reading stumbles over his words considerably throughout the book, which tends to be a little distracting. Other than that, however, it was well worth the purchase price. I think the content in the book is quality. The story and examples could've gone much deeper, it seemed to stay quite shallow in areas when you really wanted the author to go deeper. However I'd still recommend anyone looking to crowdfund that these leading principles are sound.